You can find the full SOS Island Walkthrough below. On this island adventure you will notice that it follows a similar story, The Titanic. The story behind it is that a whale watching expedition hit an iceberg and is now sinking. 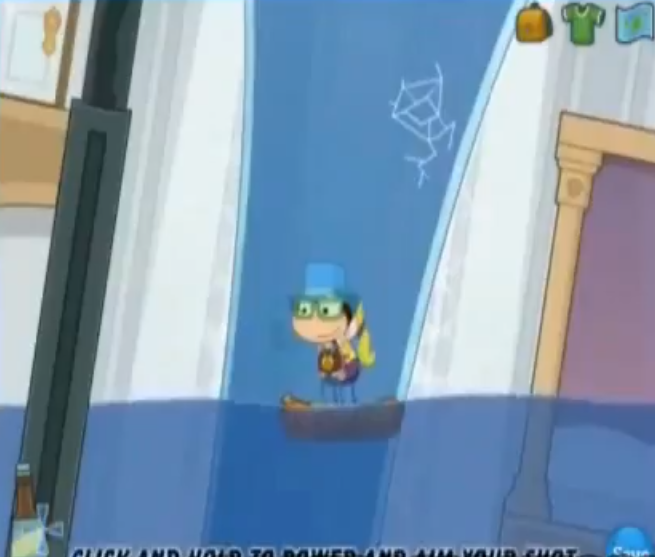 Your goal is to rescue all the passengers before the ship goes completely under water! It’s a pretty easy island if you follow the video guide below and complete each step in order. So enough about the story. 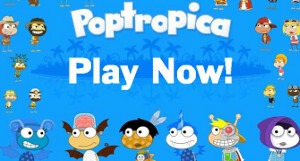 Check our the Poptropica Cheats for SOS island video below for the help that you need! Jump over on the lifeboat and a sailor will tell you the ship is sinking and you have to save people on it! 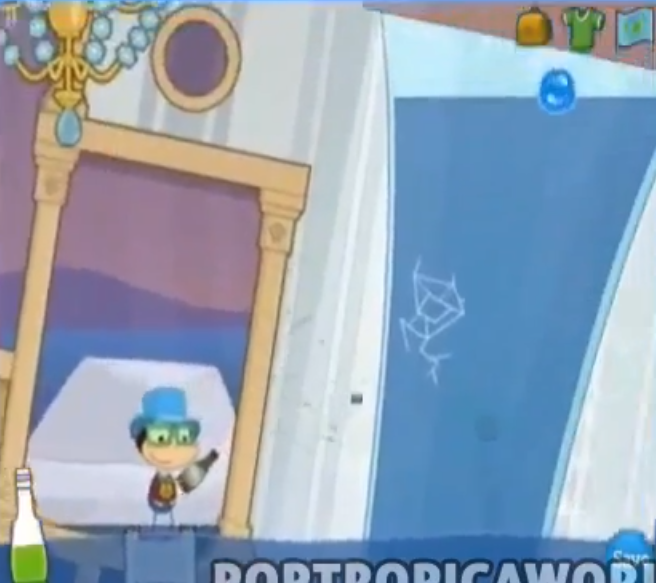 Jump in the water and use the hanging lifeboats to jump up onto the ship. Then jump up the snow pile all the way to the top of the ship. You’ll see a big snowball sitting on the roof. Push it off the roof to the right, then drop down and enter the ship..
Go through the next door marked “Enter.” Move to the left and jump over to the next floor. You’ll find the captain on the phone calling for survivors. Tell him he should get off the ship. Exit the room by going to the right and then go downstairs. Keep moving until you see door number 6. Go inside and tell her she’s coming with you. You’ll swim her outside to safety. She gives you a whale song gadget in return. Run to the left to get back on the ship. Go inside and swim to the left, enter the door with a crate in front of it. The lady says she can’t swim. Make your way downstairs and swim over to the juice bar, pick up the bottle. Throw the bottle at the cracked glass to break it. The lady should be standing on a raft, push her over to the left. Jump on the raft with her and throw the bottle at the glass break again. Click on the exit door to get her off the ship. Run back to the left to get on the ship. You’ll have to jump on the pile of snow to be able to jump onto the ship. Climb your way up to the top using the umbrellas to bounce up higher. Once you reach the top of the ship, enter through the hole in the top. Drop down to the water and click on the gear to turn on the hose. Enter through the doorway that appears below the crate. Swim to the top of the water then climb up the gold room. At the top of the room, click on the lever near the blue leak. You need to turn the gold arrows like this for the pipes to work. A piece of machinery falls down, go up the hole it fell from. Make your way to the right side of the room until you see the lady near the knob. Head back to the left side of the room and turn the knob over there. She says there are three more pipes to be fixed, swim around and find all three of them. Turn on one knob then follow the pipe to turn on the other knob. Do this for all three pipes. Once you fix all the pipes, make your way to the top of the room and talk to the lady up there. Tell her she needs to get off the ship, take her to safety. She gives you a pipe wrench as a reward. Head back to the ship again. Climb up to the top of the ship again and enter through one of the holes. Drop down then move to the right and climb up. Push the pile of garbage over to the right. Keep pushing it all the way down to the water. Swim over to where the fan fell in the water and push it down further. Go through the spot it fell down then swim over to the right and go through the door. Jump up to the top of the room and go through the door. Drop down and enter the next doorway. Click on the upper left corner of the food boxes and you’ll find a guy frozen in a block of ice. Push him over to the right into the exit doorway. Push him off the ledge to the right, then push him off the ledge to the left. Move the crate so he can fit down the next gap. Then push him over to the left and then to the right. Move the crate again then push him off the ledge to the left. Push him to the right one more time then down to the bottom of the room near the heater. The ice block will melt and you’ll take him to safety. The ship is now upside down but you must go back to save the captain! Enter the ship through the hole in the side then swim down to the bottom of the room. Make your way over to the left and swim up to the top of the water. Then go left. Swim down and to the left. Then keep swimming to the left until you see the hole at the top left of the room. Go through the hole then swim to the right to find the next hole entrance. Now follow the path through the next room and avoid the creatures on your way. Swim down and to the left and you’ll find the captain. Your oxygen is low so you must hurry! 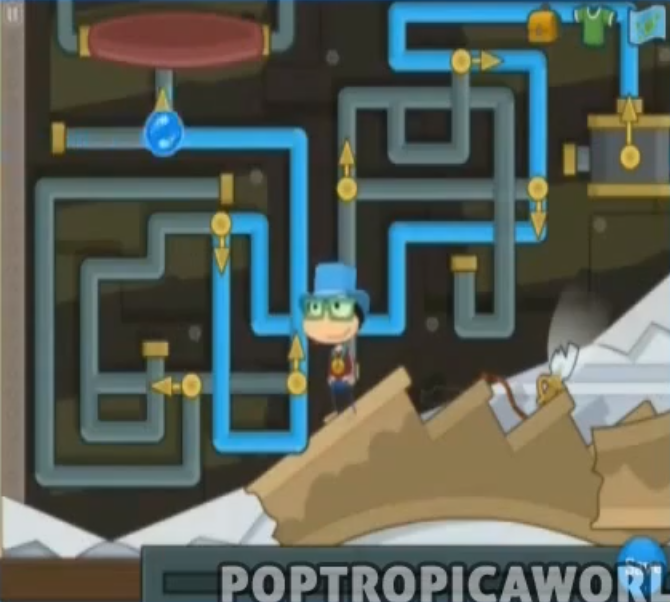 Take out the whale song gadget and use the wrench to turn it to the green area to the right. The whale will break a hole in the ship and swim you both to safety. The captain gives you the SOS Island Medallion as a token of his appreciation. You’re a hero! How did the SOS Island walkthrough help you above? We hope it helped you out with! You should include more pics. I got lost because the words weren’t detailed enough. I had to go on YouTube. But anyways. Goodbye. I don’t know how to get into the boat after you save the lady that gives you the wrench.More pics and upload some videos please. Didn’t help me find the captain at all! The captain is in the “Bridge” room! The person you get the whale song gadget from is a boy not a lady!! !